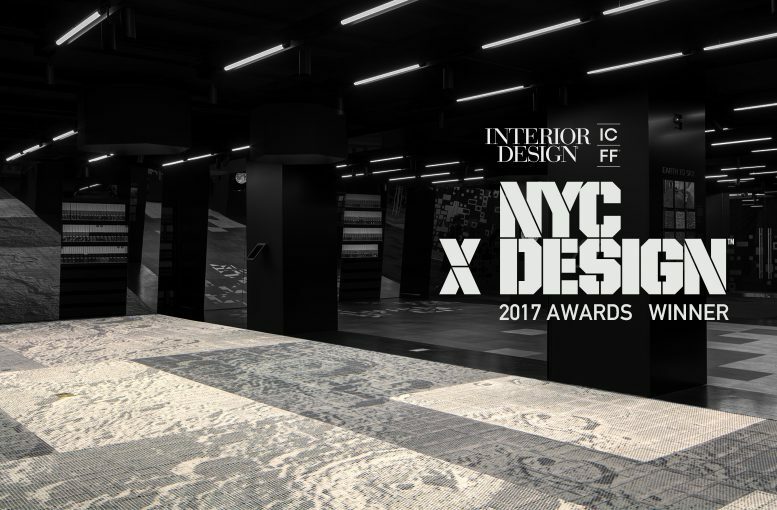 Moonscapes, 13&9’s most recent design for Mohawk Group, has won the NYCxDesign Awards 2017 by Interior Design Magazine and ICFF in the category “Flooring: Commercial” at the awards ceremony at the Museum of Modern Art in New York. 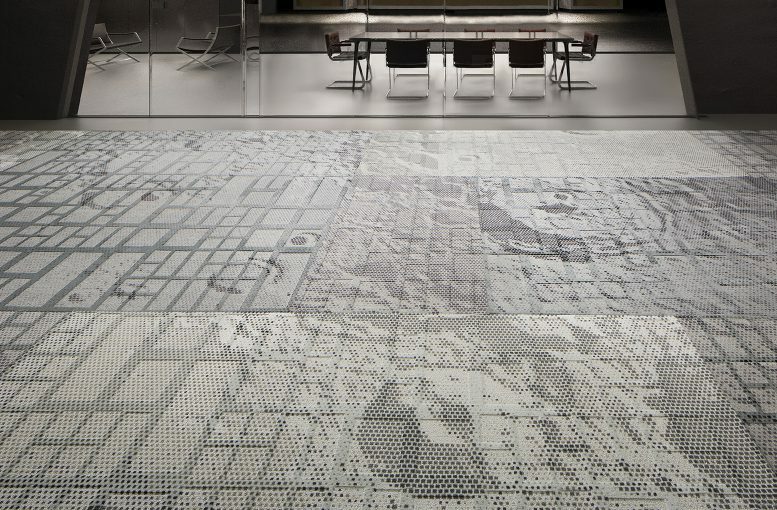 Moonscapes, an innovative broadloom collection, is inspired by the landscape of the moon. The design interprets the moon’s surface – shapes and features that have been evolving for millions of years and followed by humankind. Symbolizing the constantly growing interaction of peoples and the universe, the image of the moon surface taken by an astronomy camera is abstracted into geometrical patterns and used as print artwork for this broadloom collection. The elevations of the carpet base represents the geometry of the three-dimensional moonscape creating, in the synthesis with the print pattern, an authentic visual and tactile performance. The Moonscapes installation was on display during NYCxDesign 2017 at WantedDesign in the Mohawk Group Space at the Terminal Stores in Manhattan, New York City. The NYCxDesign award is among many honors for Moonscapes including “Metropolis Likes Award 2016” by Metropolis Magazine and an honoree at “Best of Year 2016” Awards by Interior Design Magazine.